Rowing is a sport that binds those who participate for the rest of their lives. There is something about its shared sense of purpose, self-discipline, relentless hard work, and the competitive outlet it provides that resonates deeply within Norcal’s student-athletes, so much so that waking up at 4 in the morning seems like a good idea! Norcal Crew, a 501(c)3 nonprofit organization, depends upon donations from parents of rowers, alumni, and community members to continue its mission of not only training athletes for the highest level of competition, but also to open its doors to any athlete who wants to be a part of the organization. Norcal is currently able to provide a quality experience to anyone, regardless of their athletic background, natural ability, or financial situation, while still being nationally competitive. There are many opportunities to contribute throughout the year, whether it be during our December Erg-a-thon, in time for the End of the Year Norcal Banquet, or whenever you feel like making a contribution. All donations, large or small, make a difference in the lives of the Norcal rowers. 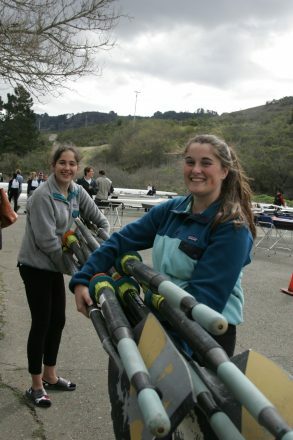 Norcal uses top-level equipment so that our rowers can compete competitively against the best crews in the nation. While Norcal maintains its equipment to keep it in racing shape, all boats must be replaced over time. Additionally, as Norcal’s membership expands, more boats of all sizes are needed. Norcal Crew relies on the generosity of families who have the means and the desire to provide for the program’s growing fleet. Norcal Crew is a 501(c)3 organization and its tax ID is 46-0612640. For more information, please contact Joel Skaliotis, Norcal’s Executive Director, at joel@norcalcrew.org.